Along the Ligurian coast, we all know about Cinque Terre. Its beautiful, rugged and terraced coastline with colorful houses has gained worldwide popularity. But there's more to the Italian Riviera that commands to be enjoyed and appreciated if you go further north, towards France. There are stretches of sandy beaches with emerald and warm water and outstanding Medieval villages rich in history, culture and gastronomic specialties. And that stretch of the riviera is called Riviera delle Palme (Riviera of the Palms). 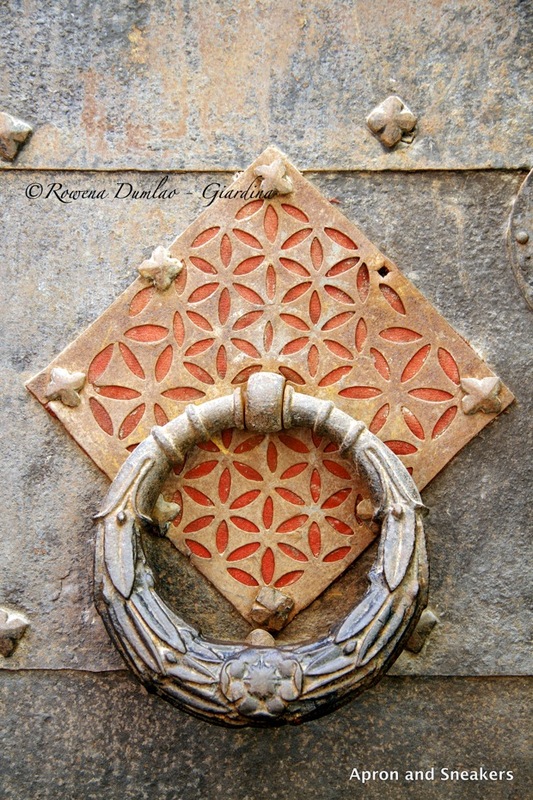 A beautiful, old doorknocker in Finalborgo. In this regard, there's a group of 6 hotels that formed a club called Fascinating Resorts to promote a more genuine Ligurian hospitality, landscape and gastronomy. Each structure, centuries-old, has its own history and unique characteristic to charm your stay. I had the chance to be a guest along with my travel group, in 5 of these 6 luxurious charming hotels where we slept and dined. 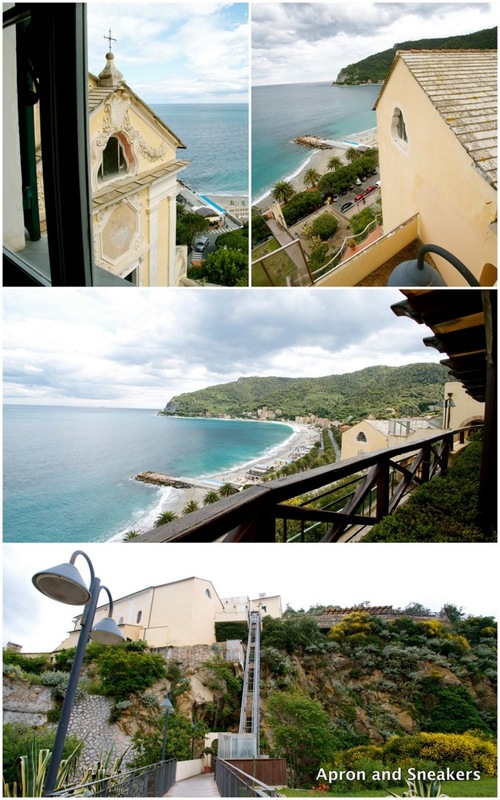 Upper photos: Panorama from the windows and terrace of Palazzo Vescoville. Bottom photo: Going up the funicular to the hotel. 1. 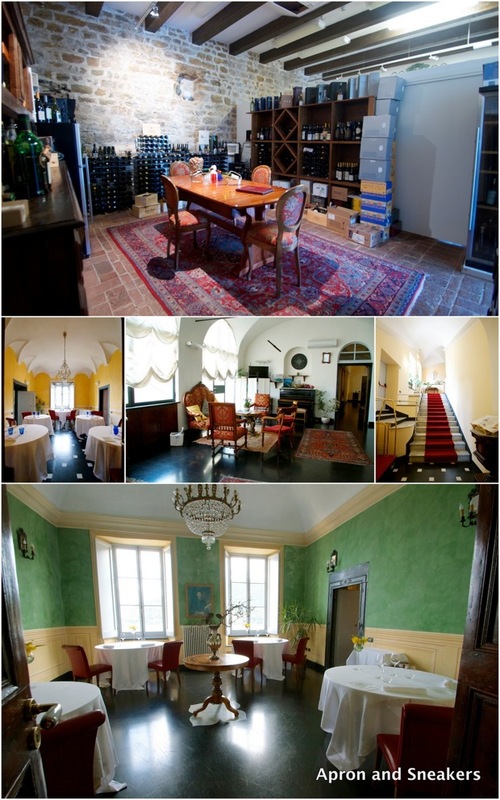 Palazzo Vescoville in Noli (pictures above and below). This was formerly the home of the Bishops of Noli (Bishop's Residential Palace) from 1239 until 1820. It is rich in history and the whole hotel was refurbished catering to a modern 4-star hotel with a Michelin-starred restaurant called Il Vescovado. 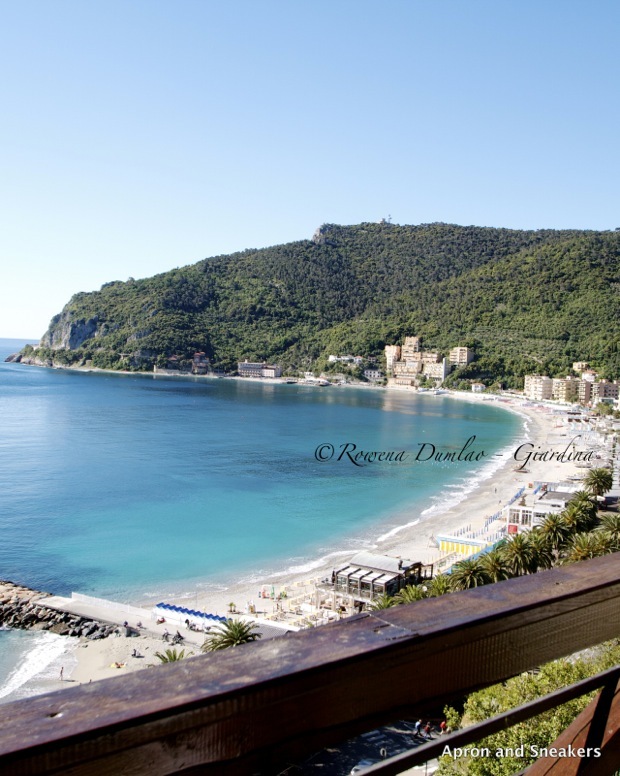 They also have a terrace where you can eat overlooking the Italian Riviera. 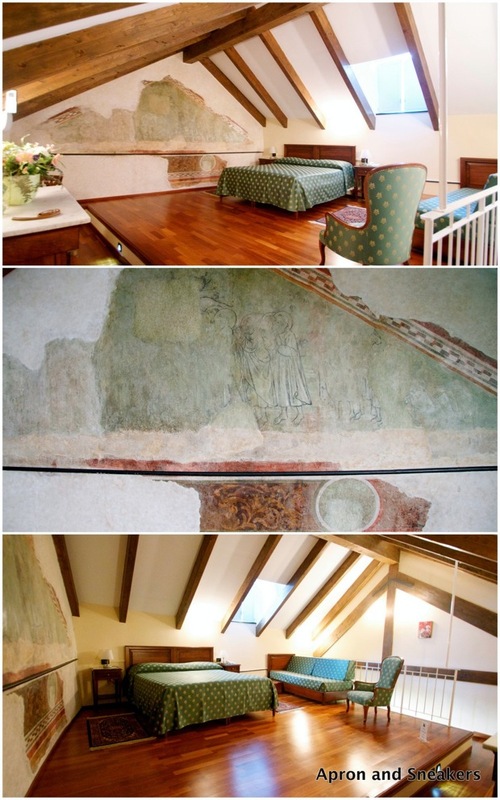 I had the pleasure of staying in one of their 14th-century rooms with two levels and to sleep in such a splendid room with frescoes was quite an experience. To reach the hotel, you park under it, take their private elevator then a funicular or walk up the scenic Medieval trail. The second floor of my 14th-century room at the Palazzo Vescoville Hotel. 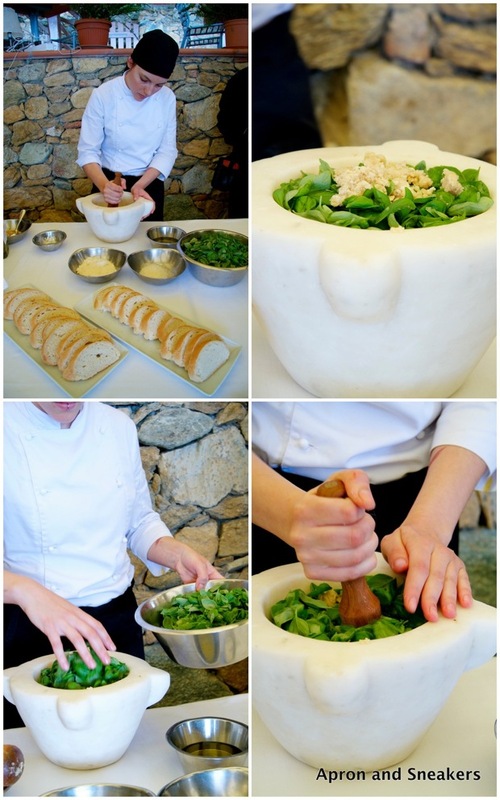 A chef showing us how to make Ligurian pesto at Ristorante Il Vescovado of Palazzo Vescoville Hotel. 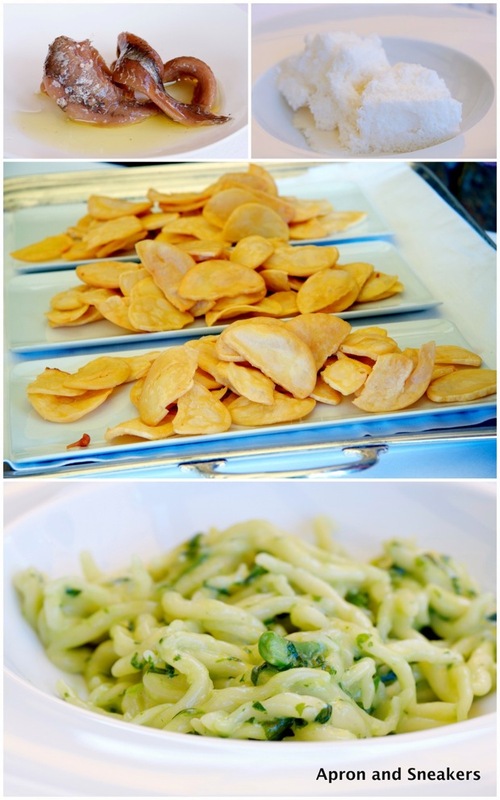 Different varieties of food that were served at Ristorante Il Vescovado using 100% fresh Ligurian produce. 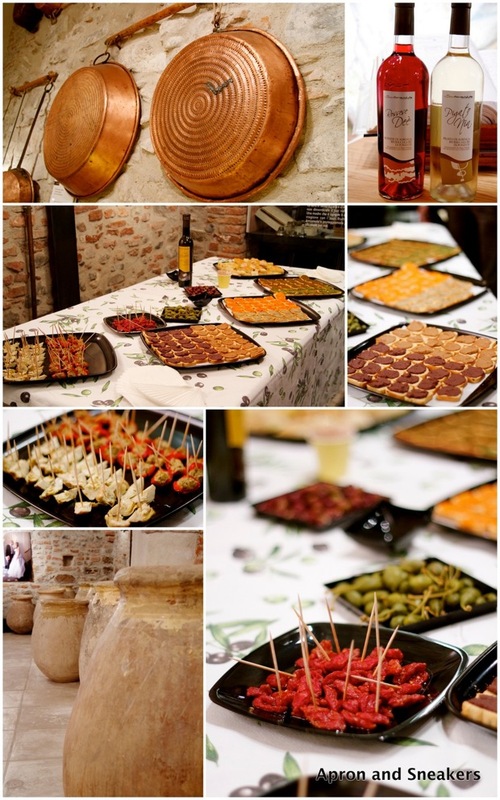 Tasting the area's wines, Pigato and Rossese (upper photos). 2. 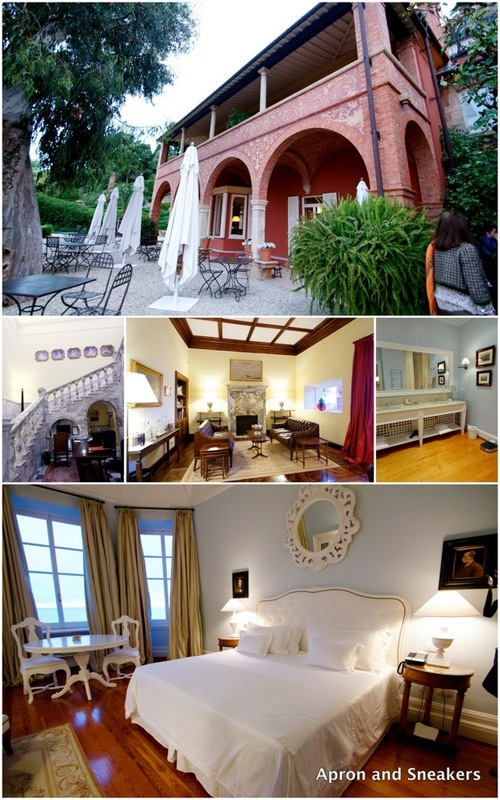 Villa della Pergola in Alassio (pictures below). This 5-star hotel is housed in a 19th-century British villa set amidst a 22,000 sq. meter garden of rare and exotic plants among Mediterranean vegetation overlooking the coast. The complex is divided into 3 villas with 13 suites in all. If you want a relaxing vacation with only the noise and smell of nature enfolding you, then this is the right place to stay. 3. La Meridiana in Garlenda (pictures below). Arriving after sunset at this beautiful and elegant hotel didn't give me a chance to explore outside but as you walk from the parking, you will be greeted by a pool on the right side and the villa on the left with a pathway in the garden. The first thing that came to my mind was cozy, like a rich and elegantly furnished home. This hotel also has an 18-hole golf course for the golf enthusiasts. 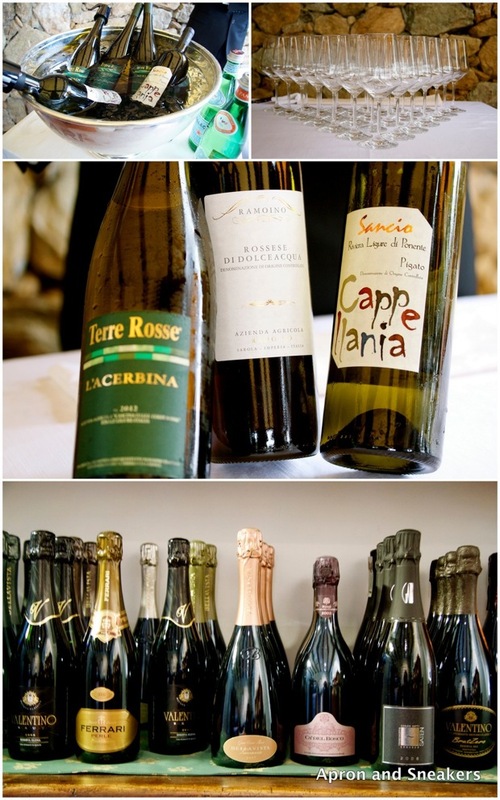 As for the food and wine lovers, their restaurant, Il Rosmarino, is a place to experience the fresh and organic produce of the area and a wide selection of excellent wines, all carefully prepared by the chef and overseen by the proprietor himself, Edmondo Segre. 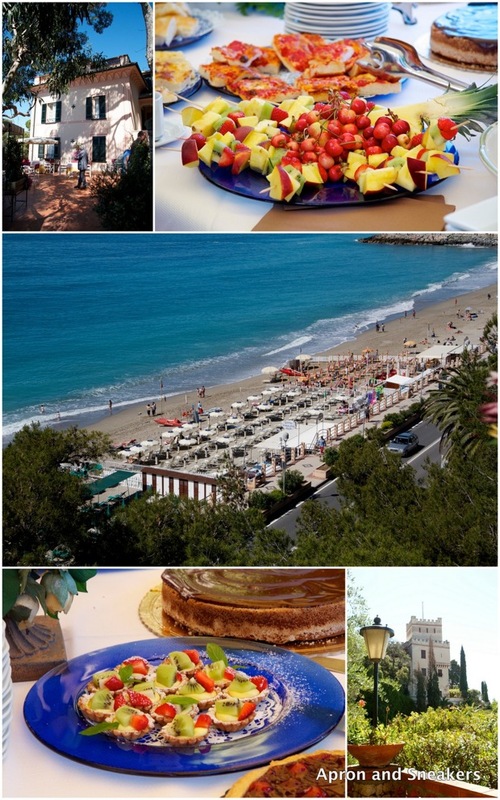 La Meridiana is a member of a group of worldwide charming 5-star hotels called Chateux & Relais. 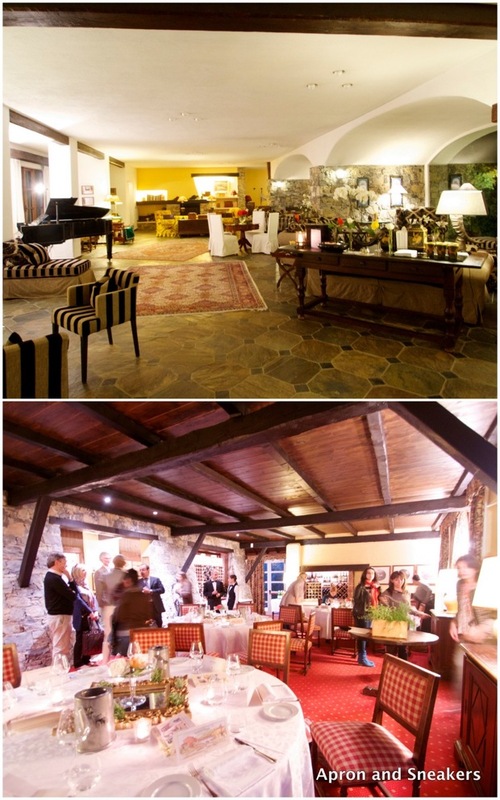 Upper photo: The lobby of La Meridiana Lower photo: At the hotel's restaurant, Il Rosmarino. 4. 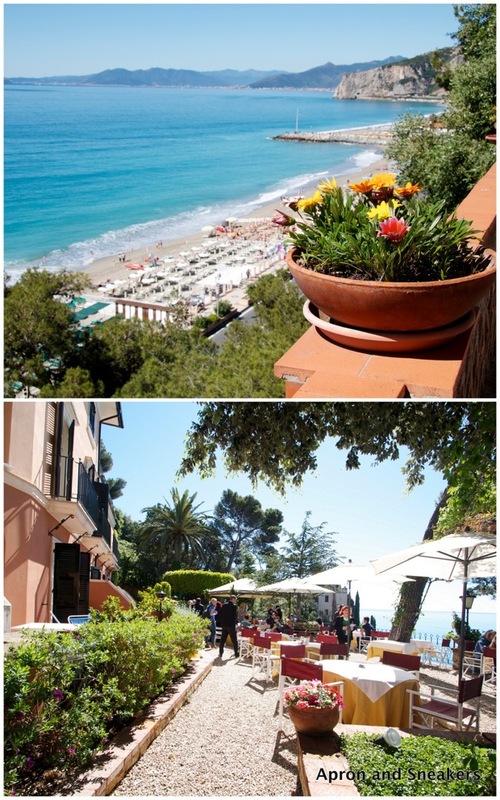 Hotel Punta Est in Finale Ligure (pictures below). On our last day, the sun finally came out and gave us an outstanding view of the beach and inviting emerald water. It was also timely because this 4-star hotel is positioned on a hilltop, just a few steps from the beach. If you would like to have a relaxing holiday with direct access to the beach, then this is the perfect place to station yourself. In the premises is also a unique spa inside a natural grotto which is quite impressive! On good weathers, breakfast is served outside with a view of the coastline. 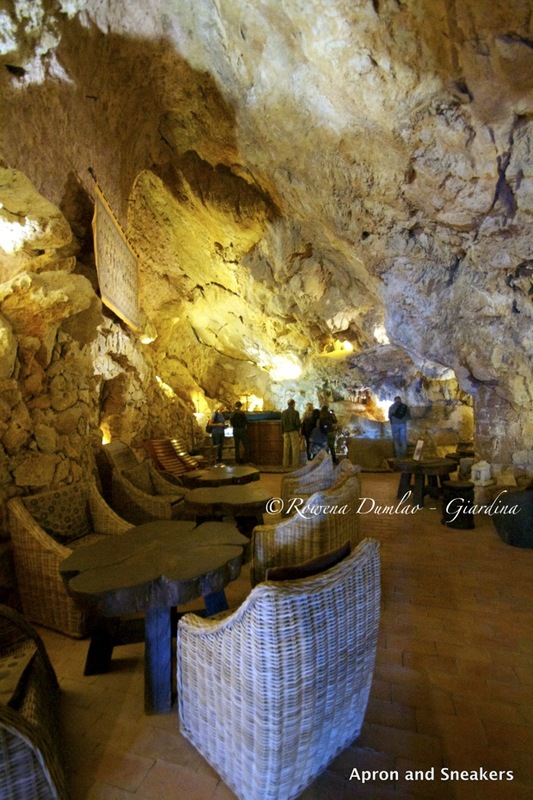 The hotel's spa inside a natural grotto. 5. Il Casale Relais in Bardino Vecchio (pictures below). Set in the greenery of vineyards, olive trees and fruit orchards, this 4-star bio-resort has everything to make your stay pampered with spas, beauty treatments and massages. 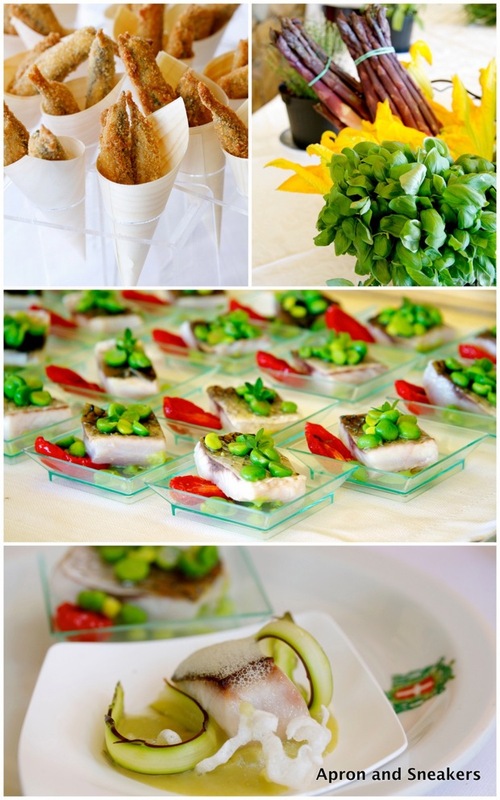 The food is prepared with fresh and organic ingredients from the area. If wellness is what you are after, then this is the right place to stay. 6. Palazzo Fieschi in Savignone (no pictures). Among the hotels in the list, this is the 6th and the one we didn't get the chance to visit because it was too far from where we were located. 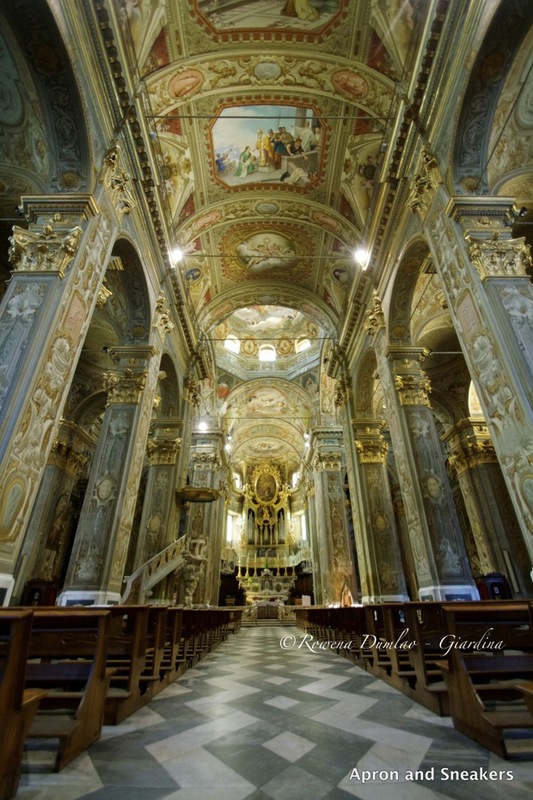 To give you an idea of how it is, this 15th century palace was of the Savignone Lords that was refurbished to its original splendor to accommodate modern day comforts. It is set in the greenery of the Genovese countryside. Liguria is known for its very good olives which are the Taggiasca. They are small with dark red coloring, fruity and intense, perfect for making oil, using as ingredients in cooking or just enjoying them after being cured in salt & condiments. 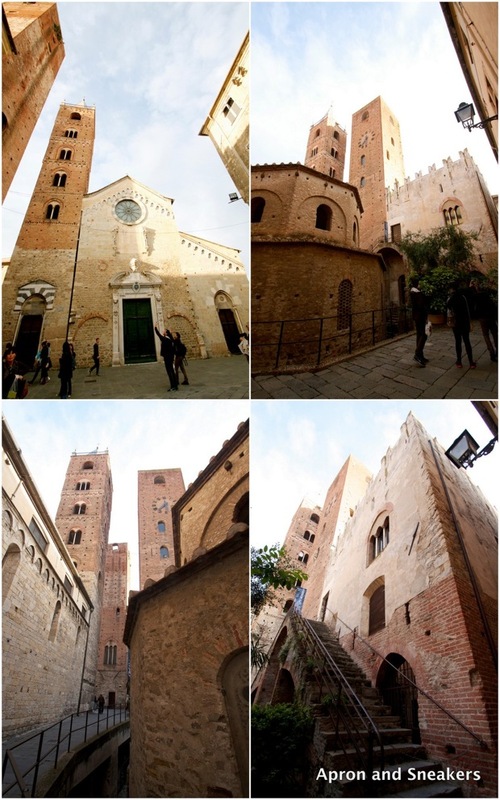 In the beautiful Medieval village of Albenga (pictures below), we visited the ancient Sommariva olive oil mill (pictures above) where we tried their extra virgin olive oil mosto and the other Ligurian specialty products that they produce using solely extra virgin olive oil to conserve them. 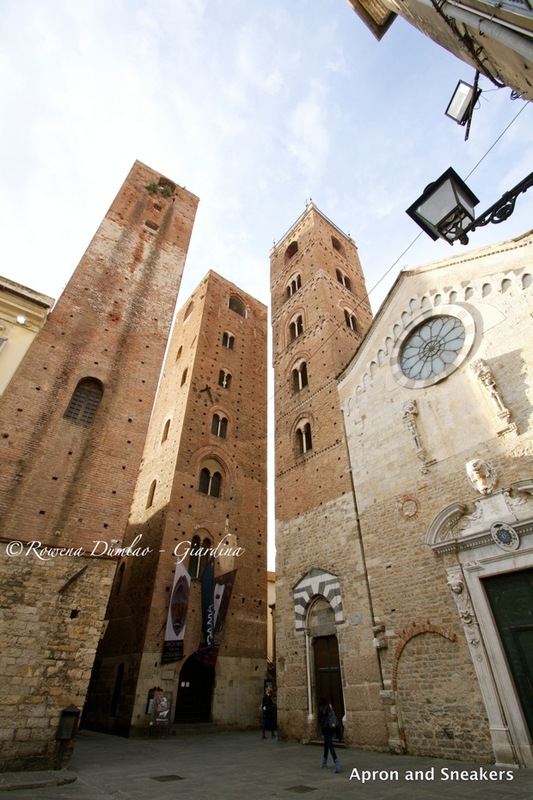 Around the town of Albenga. 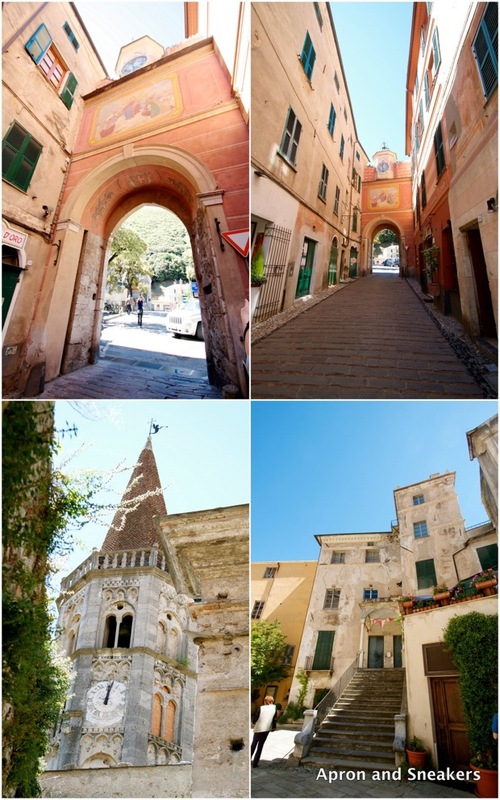 Another beautiful Medieval hamlet we visited was Finalborgo (pictures below). 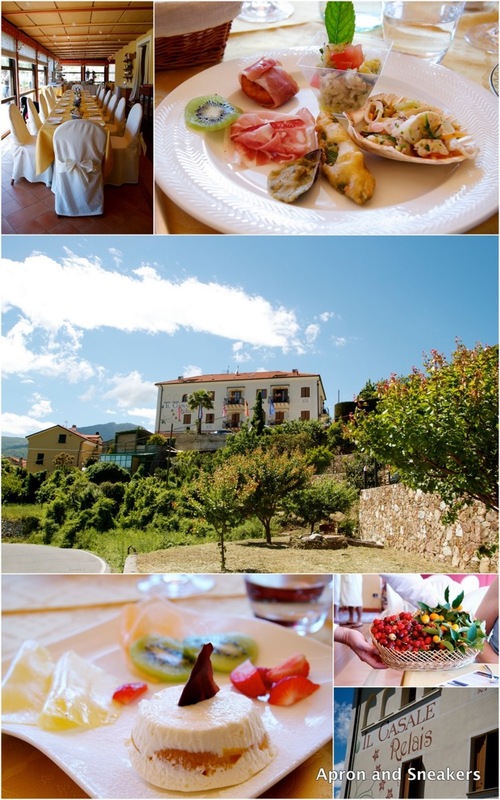 It is considered one of the most beautiful villages in Italy and offers a range of beautiful artisanal products. Around the town of Finalborgo. 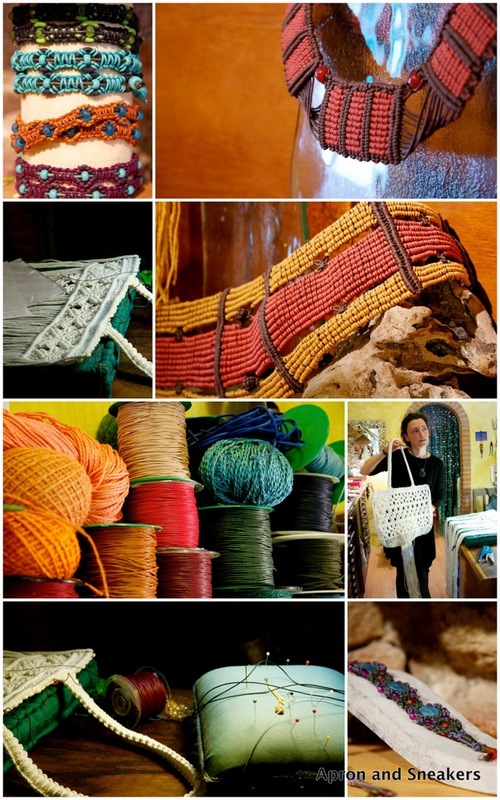 Finalborgo's artists at work and their handicrafts for sale. As a frequent traveler myself, I have to say that the experience I had in these hotels and the nearby villages were truly highly commendable. If only the weather had cooperated and permitted us to dip in the sea, it would have been one perfect holiday. The Ligurian water reaches a wonderful warm temperature of 27 - 28°C (80 - 82°F) from June to September and still keeping its warmth in October at around 22°C (71°F). The Riviera delle Palme (Riviera of the Palms) is easily accessible from the airports of Genova with 45 minutes to 1 hour of traveling by road, Nice (France) with 1-1/2 hours of traveling by road and Villanova d'Albenga which is strategically positioned just a few kilometers from the western Ligurian Coast. For more information about this, please click on this link. 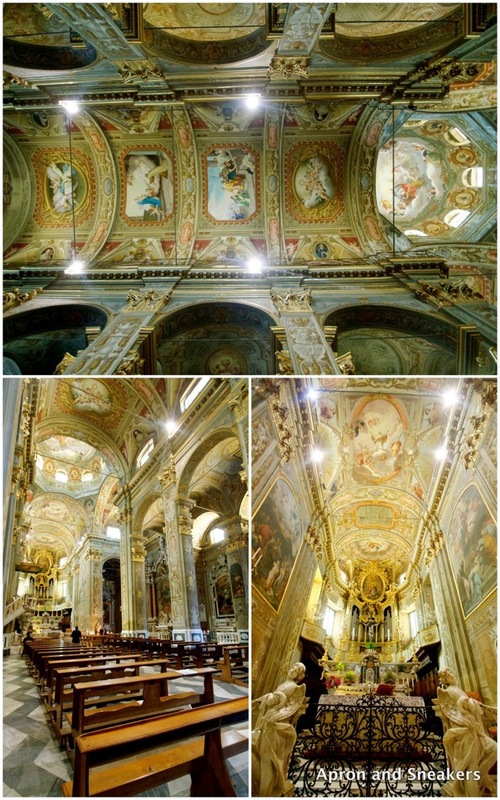 The Basilica di San Biagio at Finalborgo. And that, my dear readers, concludes my series of the Press Tour in Piemonte & Liguria. I hope you liked all of them. 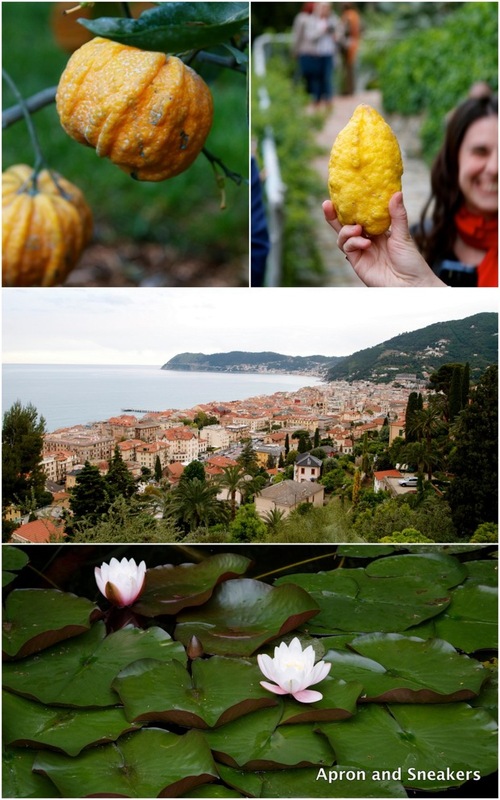 If you haven't read the previous two yet, here are the links: The Food and Wine of the Hills of Langhe and Roero in Piedmont, Italy (Part 1) and Chinotto and Disaronno Cocktail and City of Savona in Liguria, Italy (Part 2). 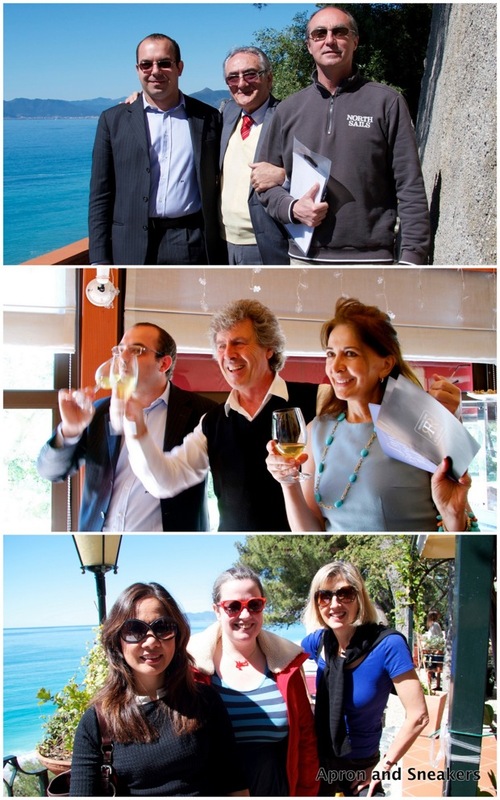 Photos above and in the middle: The proprietors and managers of the hotels. 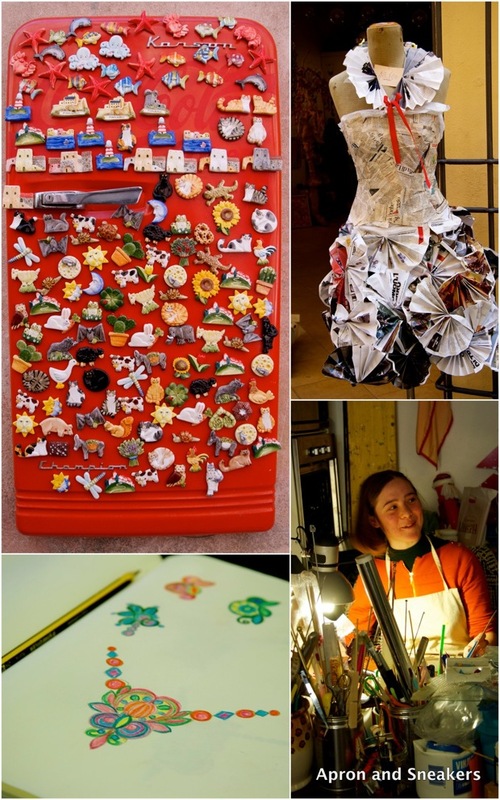 Bottom photo: (L to R) That's me with fellow blogger Niamh of Eat Like a Girl and journalist Josephine of ANSA.